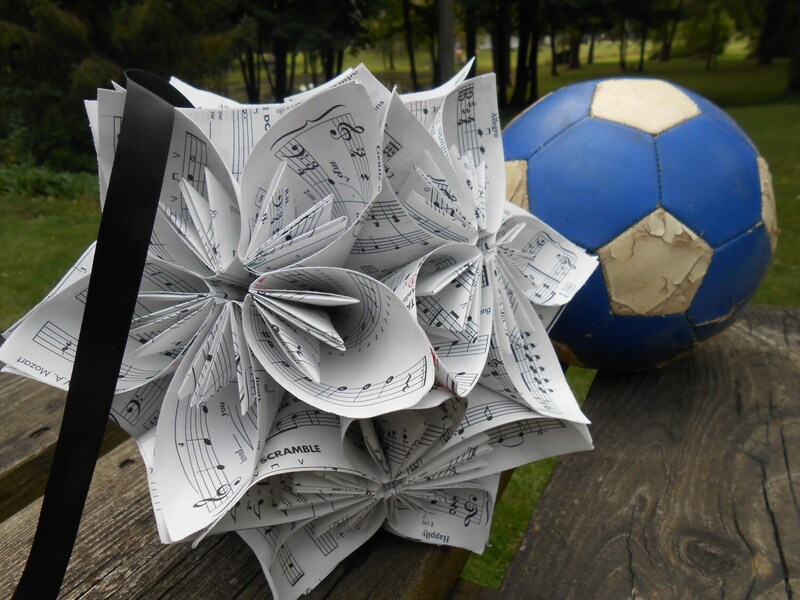 HUGE Sheet Music Kusudama Ball. Decoration, Gift. Custom Orders Welcome. 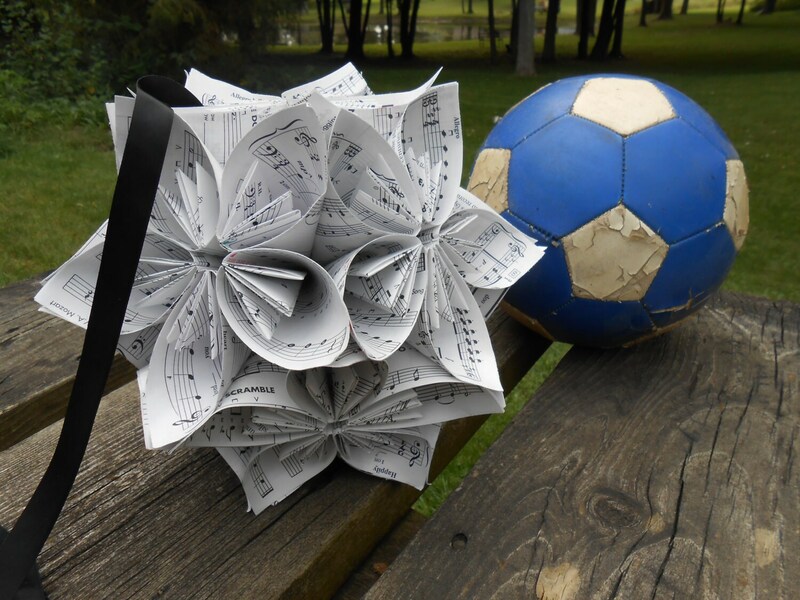 This 11" vintage sheet music kusudama ball is made up of carefully folded origami flowers and hung on a black ribbon. 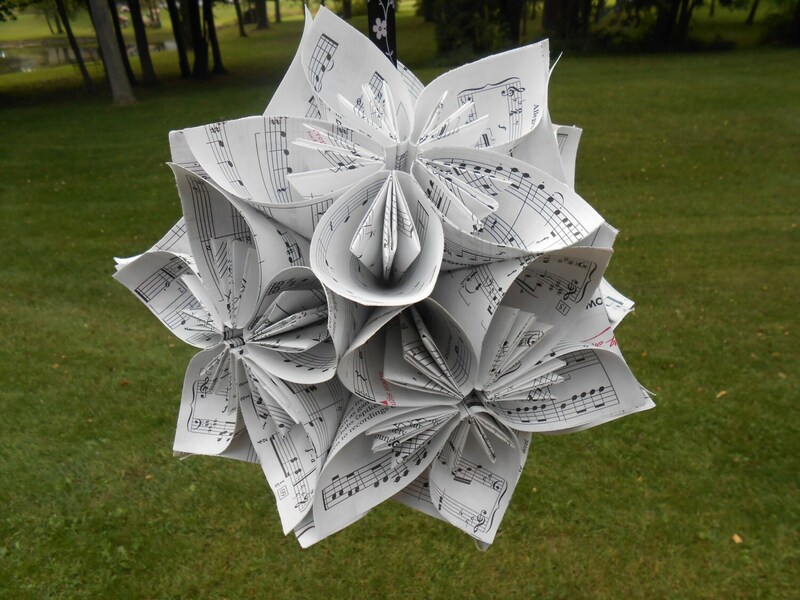 This paper ball looks great hanging from the ceiling, or anywhere else you want to put it. If you want to give a gift that is sure to be impressive, this is the perfect thing! 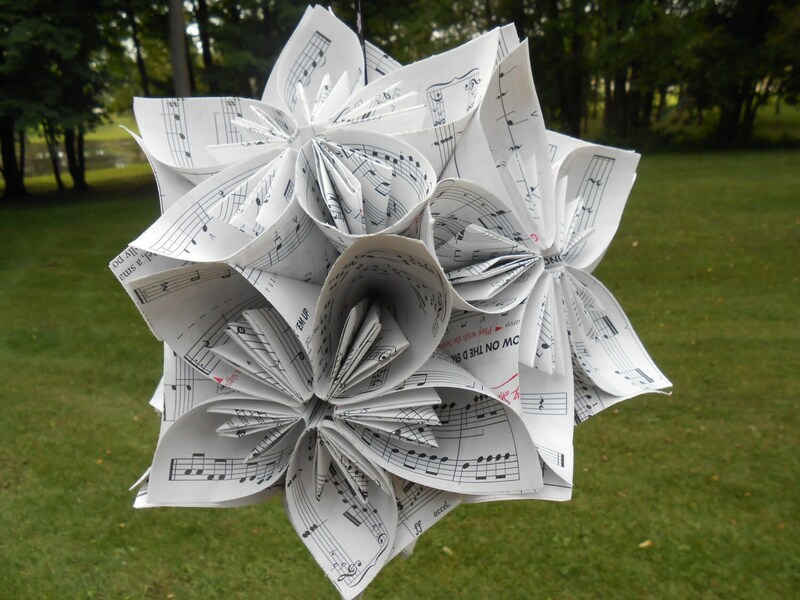 These are also great gifts for musicians and music teachers! Purchase as many as you need! If you want more than I have available, convo me and I will make you more. If you want different papers, themes, sizes or anything else, just let me know! I also have many of these availble in my store! 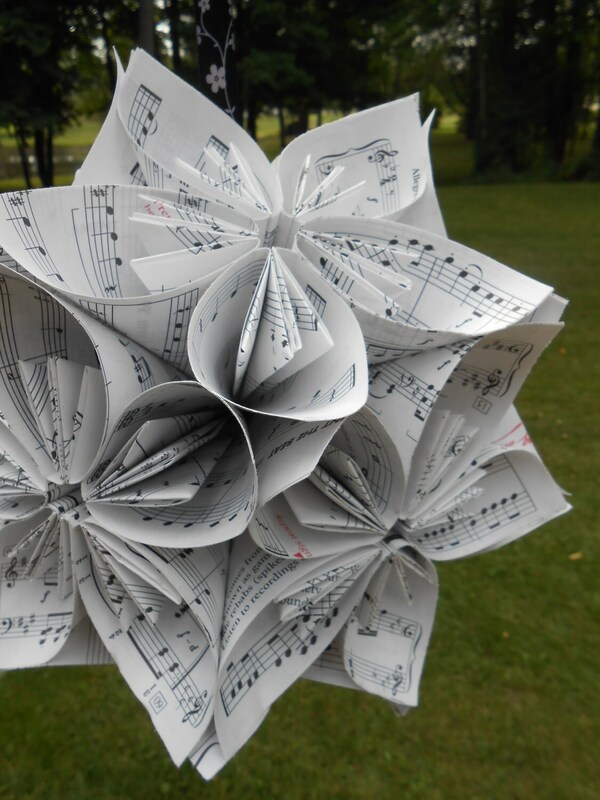 I can do them from any book or paper.